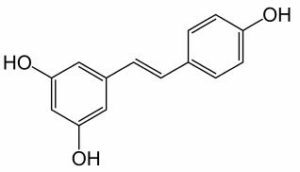 Resveratrol (3,4′,5-trihydroxy-trans-stilbene) is a polyphenol stilbenoid and phytoalexin that certain plants produce in response to stress, such as injury or fungal infection. Resveratrol is a naturally occurring compound found most famously in red wine. 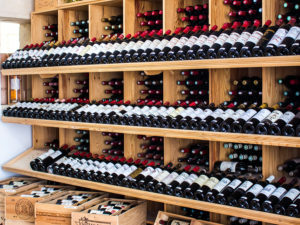 Some speculate that the Resveratrol found in red wine accounts for the “French Paradox”. And how the French can dine on baguettes, cheese, paté and pastries. While avoiding putting on weight and living longer. Recent research may soon lead the nootropics community to classifying Resveratrol as an Ampakine nootropic. With some rather profound neuroprotective effects in the brain. Resveratrol is gaining a reputation among neurohackers for controlling brain inflammation, boosting dopamine, helping reverse cognitive decline and fighting brain cell aging. Brain-Derived Neurotrophic Factor (BDNF). Higher levels of BDNF are associated with increased intelligence, mood, productivity and memory. And decreased risks of neurodegenerative diseases like Alzheimer’s and Parkinson’s. Resveratrol increases BDNF in your hippocampus. Cerebral Circulation. Resveratrol increases blood flow in your brain. Improving your brain’s blood flow increases oxygen and nutrient levels. 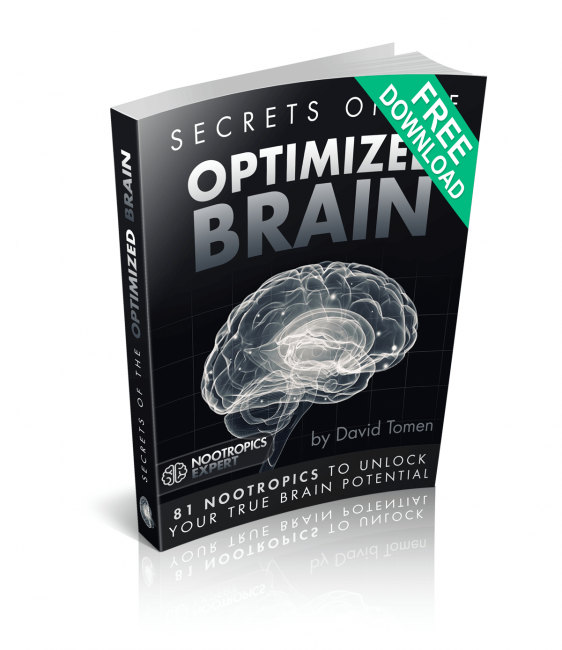 Providing your brain with the fuel it needs for optimized cognition. How does Resveratrol work in the brain? Resveratrol (3,4′,5-trihydroxy-trans-stilbene) is a naturally-derived polyphenol antioxidant. This phytoalexin helps plants fight fungal infection, insect infestation, stress and ultraviolet radiation. And we are finding that Resveratrol could be a potent nootropic. Initial research on Resveratrol led researchers to believe that the compound works by mimicking calorie restriction and decreasing chronic inflammation. As soon as word got out about the first clinical studies at Harvard Medical School, red wine and Resveratrol were soon christened the new “Fountain of Youth”. However, more research has revealed some rather profound benefits to adding Resveratrol to your nootropic stack. Several human studies show that Resveratrol can increase cerebral circulation, protect against heart disease, and increase insulin sensitivity in diabetics. Even more studies in animals have shown that Resveratrol can reduce depression, treat addictions, protect against memory loss, is anti-anxiety, reduces plaques in Alzheimer’s disease, improves learning, memory and mood, protects the brain from stroke and shields from hearing loss. Resveratrol boosts brain health in several ways. But two in particular stand out. This effect of activating AMPK has a number of implications. First, this would make Resveratrol an Ampakine nootropic similar to some of the racetams. This same study at the Washington University School of Medicine in St. Louis, Missouri demonstrated that Resveratrol combined with the nootropic ALCAR increased neurite growth which would have a profound effect on boosting memory. And Resveratrol also stimulated mitochondrial biogenesis. Resveratrol boosts BDNF. Brain-derived neurotrophic factor (BDNF) has been called “Miracle-Gro for the brain” by Harvard Neuropsychiatrist John Ratey. When BDNF is released, nerve cells connect to other cells or their synapses. As brain cells “fire together”, they “wire together”. And this is how new neural networks are formed and consolidated to create memory. Researchers in Iran administered Resveratrol to rats for 30-days. The team was looking at the effects of Resveratrol on the abundance of mRNA encoding Brain-Derived Neurotrophic Factor in the hippocampus. But even if things haven’t degenerated to such a debilitating level, Resveratrol can help. Resveratrol is an antioxidant polyphenol which are present in foods like red wine, green tea, apples, berries, pomegranates and dark chocolate. Polyphenols are among the most effective natural ways to combat aging. And to prevent the health issues that often lead to cardiovascular and neurodegenerative disease. Resveratrol helps prevent free radical damage to brain cells. Oxidative damage to brain cell membranes causes deterioration. And eventually leads to premature cell death (apoptosis). Resveratrol has the unique ability to modulate cell apoptosis. And promotes cell death only in instances where your brain would be healthier with fresh, new cells. Resveratrol promotes neurogenesis. Resveratrol inhibits the PDE4 enzyme that raises levels of cAMP in your brain. Much like Luteolin (Artichoke Extract) in the CILTEP stack. cAMP-dependent pathways in the brain activate AMPK which in turn energize brain cells, and boost memory. Resveratrol helps boost cerebral circulation, and Brain-Derived Neurotrophic Factor (BDNF). BDNF helps new neural networks to form which is the basis for memory formation. Resveratrol quickly enters your brain after you take it. Once in your brain, it inhibits PDE4 which boosts cAMP activity. cAMP is involved in the Long-Term Potentiation process of preserving memories. Inhibiting PDE4 and boosting cAMP also makes the effect of normal dopamine production more effective. Boosting processes in this stream of chemical reactions in the brain increases learning and memory. Without the side effects of stimulating dopamine production through the use of drugs like Adderall or Ritalin. Neurohackers report the effects of Resveratrol can be subtle. But you don’t want to take it later in the afternoon or it could affect your sleep. You may experience improved mood and motivation, increased ability to study, increased ability to retain information and improved long-term memory. As a young neurohacker, you may not be concerned about the horrors of a disease like Alzheimer’s. Yet several clinical studies make the case for using Resveratrol to boost your memory. And to avoid ever having to be concerned about this debilitating disease. Now that I have your attention, let’s look at some clinical studies on using Resveratrol to prevent Alzheimer’s and dementia. Some of Resveratrol’s neuroprotective ability comes from its ability to interfere with the cascade of events arising from an accumulation of abnormal proteins called amyloid-beta. Amyloid-beta causes oxidative stress and inflammation that damages brain cells. Especially in memory centers in the brain. Hence the reason why Alzheimer’s causes such profound memory loss. A study conducted at the Litwin-Zucker Research Center for the Study of Alzheimer’s Disease in New York looked at the cascade of events leading up to Amyloid-beta accumulation that causes much of the problem with Alzheimer’s. The research team at the Max Planck Institute for Human Cognitive and Brain Sciences investigated the effect of Resveratrol on brain function and memory in healthy overweight older adults. 23 people, aged 50 – 75, took 200 mg of Resveratrol daily for 26 weeks. The control group of 23 subjects took a placebo. 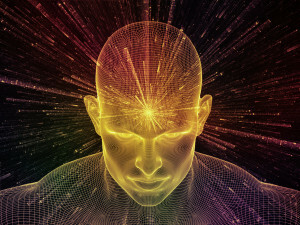 Memory tasks, neuroimaging, microstructure and functional connectivity of the hippocampus were measured before and after the trial. The study found that Resveratrol had a significant impact on subject’s ability to remember words. Subjects had a significant increase in functional connectivity in the hippocampus. And there was a decline in glycated hemoglobin (HbA1c), which indicates improved blood sugar control. A study conducted at Northumbria University at Newcastle upon Tyne in the UK assessed the effects of Resveratrol on cognition and cerebral blood flow in healthy adults. In this double-blind, placebo-controlled study, 22 healthy adults received a placebo and 2 doses (250 and 500 mg) of trans-Resveratrol in counterbalanced order on separate days. The subjects performed a selection of cognitive tasks that activate the frontal cortex 45-minutes after taking Resveratrol. Near-infrared spectroscopy assessed frontal cortex changes in oxygenated and deoxygenated hemoglobin in order to evaluate blood flow and hemodynamics during the 36 minutes of task performance. The research team found that Resveratrol increased cerebral circulation. And this effect was entirely dependent on the size of the dose of Resveratrol. Blood flow was determined by measuring total hemoglobin concentrations. 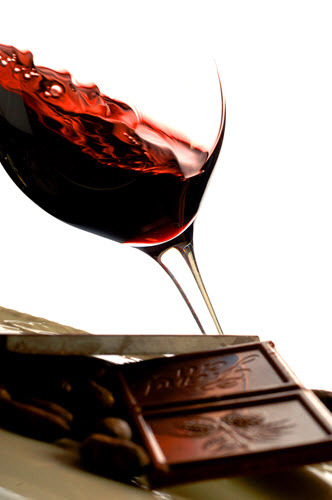 Resveratrol is found in small quantities in red wine, and some plant foods. Red wine contains about 1.5 – 3 mg of Resveratrol per liter of wine. So if you do the math, comparable amounts of Resveratrol from red wine for a 150 lb. 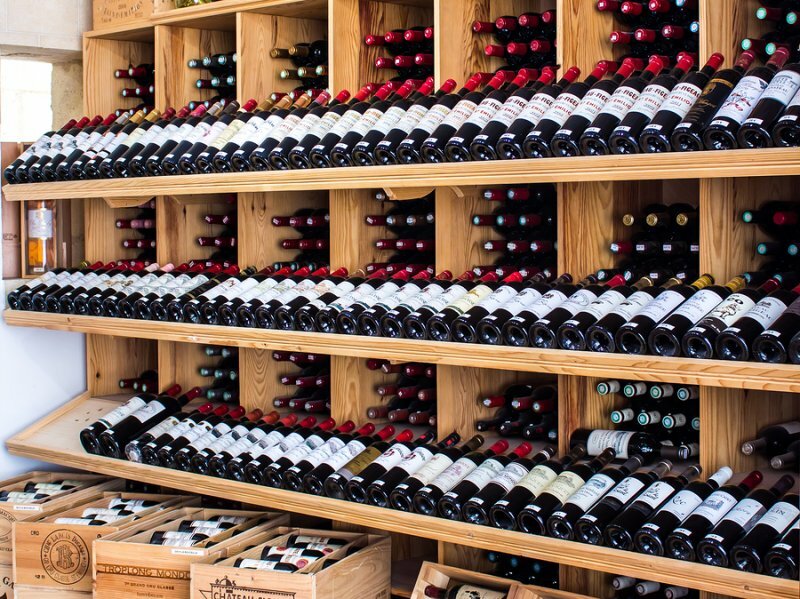 person means 750 – 1,500 bottles of red wine a day. And many of the clinical studies done in animals suggest a human equivalent of 1 -2 grams for a 150 – 200 lb. person. 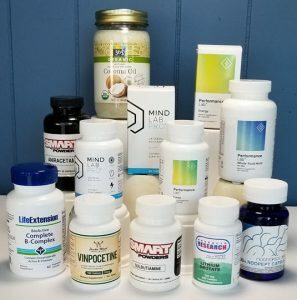 Many supplement makers offer much smaller quantities in capsules or tablets. (We do not advise taking such high doses of Resveratrol). But even in small amounts, Resveratrol is believed to provide some of the benefits talked about in this article. Based on all of the published studies, the recommended daily dose of Resveratrol is 20 mg for heart health, insulin sensitivity and longevity. For cognitive benefit, and increasing cerebral blood flow, recommended dose is 250 – 500 mg of Resveratrol. It’s better to dose on the lower end of recommended doses of Resveratrol. And see how your body reacts. Resveratrol is non-toxic and supplementation is well-tolerated by most people. We do not have many human studies on Resveratrol and must rely on user reviews. Resveratrol has mild estrogenic activity in the body. So if you’re estrogen is low you should avoid supplementing with Resveratrol. This is a potentially serious side effect. And short of getting your labs done, it may show up as joint pain or arthritis-like symptoms. Some neurohackers report having trouble sleeping, or staying asleep. Particularly if taken in the afternoon or evening. If you are dealing with a blood disorder which causes bleeding you should avoid Resveratrol. If you are taking aspirin, warfarin or clopidogrel you should not use Resveratrol. 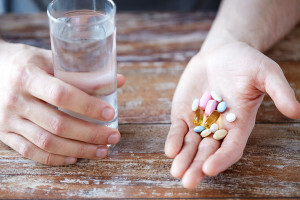 Long term side effects reported by some neurohackers include diarrhea, discolored urine, dizziness, insomnia, jitters, joint pain, stomach pain and tendinitis. Resveratrol comes in tablet, capsule or powder form and is available by several well-known supplement makers. Most Resveratrol supplements are made from Japanese Knotweed. And some from grape skin extract. The bioactive form used in clinical studies and found in supplements is ‘Trans-Resveratrol’. ‘Cis-Resveratrol’ is a cis isomer and still bioactive but has a very different chemical structure. Purity of Resveratrol is extremely important. Most Resveratrol is made from Japanese Knotweed. A poor quality extract can contain high amounts of Emodin which can act as a laxative and cause stomach cramps. High purity Resveratrol extract (99%+) from Japanese Knotweed contains insignificant amounts of Emodin. And should cause far fewer side effects. Your safest bet when choosing a Resveratrol supplement is an extract from grapes or red wine which contain no impurities. And ideally the ‘micronized’ version of Resveratrol. We recommend using Resveratrol as a nootropic supplement. Your body does not make Resveratrol on its own. You can get some Resveratrol from red wine and a few other fruits. But studies have shown we may not get an adequate supply of Resveratrol from food sources in our diet. Especially if you don’t eat a lot of fruit containing Resveratrol every day. Or don’t drink red wine. We recommend choosing a Resveratrol supplement that is either 99% pure from Japanese Knotweed. Or a pure extract from grapes or red wine. Ideally the ‘micronized’ version of Resveratrol. Resveratrol is unique among antioxidants because it easily crosses the blood-brain barrier. And helps protect your brain from free radical damage. Resveratrol helps improve memory by influencing the cAMP-dependent pathways in your brain that activate AMPK. And Resveratrol boosts cerebral blood flow which increases the amount of oxygen and nutrients your brain cells need for optimized cognition. Resveratrol is especially helpful for those concerned about developing Alzheimer’s or dementia. Because it helps prevent the accumulation of abnormal proteins like amyloid-beta. We suggest starting with a dose of at least 20 mg daily. And Resveratrol is a great compliment to a stack including any nootropic. One study showed Resveratrol worked synergistically with ALCAR to boost memory. And Resveratrol works particularly well when combined with Pterostilbene. I greatly appreciate all of the useful information that you have shared on your site, you tube channel and book ( PhD dissertation). I am in the process of implementing much of it I was curious if you have ever explored, He Shou Wu( Fo-Ti ) ,for its anti-aging properties as well as its documented ability to encourage hair to retain its color as we age and even restore the dark color to gray Hair. Perhaps sometime you could upgrade the list of supplements listed at the end your book that you personally use. It would seem that it has evolved with time according to your various posts. Barry, I keep finding more and more ways to optimize the human brain the longer I research and write Nootropics Expert. “He Shou Wu” will go on my long list of things I still need to review (thanks). And I envision many more editions of Head First. The 1st edition at 600+ pages means future editions may be more than one volume. I don’t think anyone wants a 2,000-page book. Barry, thank you for your kind words. My interest in dietary supplements came from desperation. Mainstream doctors couldn’t help me. And I was on my own if I wanted to get better. Sharing this information with the people we love is one of the most important and loving things we can do. Ultimately, we are responsible for our own health. But sometimes we need a little help. 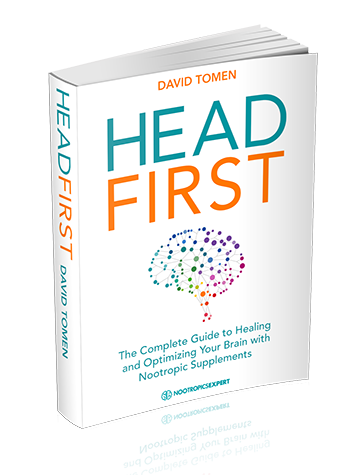 Our aim at Nootropics Expert is to contribute what we can. Thanks for spreading the word. Julia, resveratrol acts a an “antihistamine”. I’m having trouble finding a Resveratrol brand that works. Do you have any recommendations?